Invite Only – #REVOLVEfestival returns to the desert for the fourth year in a row. 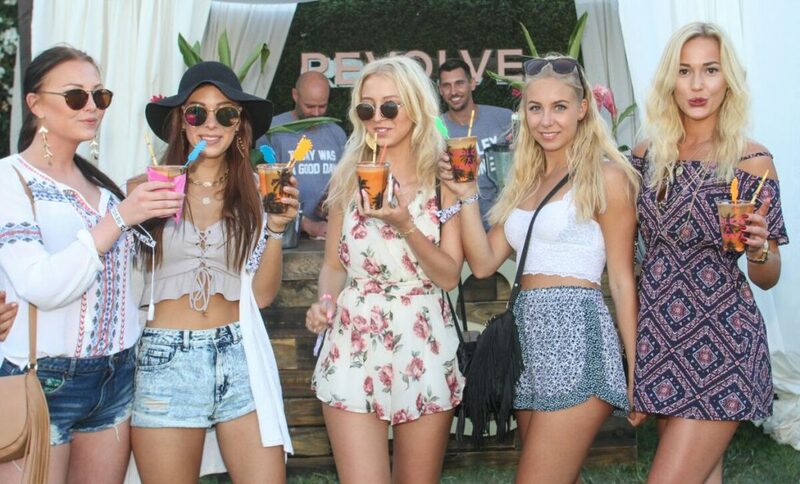 #REVOLVEfestival is a week-long curation of star-studded aspirational style, beauty and entertainment experiences, dynamic brand partnership activations, special guest appearances, and surprise performances. In previous years, performers and DJs have included Chance the Rapper, Travis Scott, A$AP Rocky, A$AP Ferg, Migos, YG, Snoop Dogg, Saweetie, Jordyn Woods and many more. Open – Kick off festival season at the REVOLVE Social Club, which will for the first time ever be open to the public all weekend long.